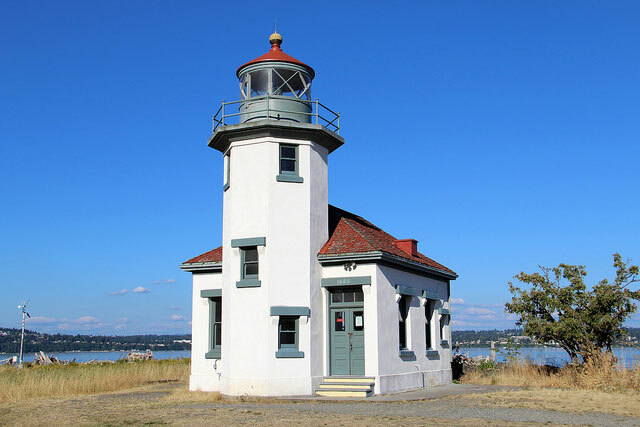 A rural idyll, with miles of deserted beaches, endless parks, nature reserves and pastures, life is much, much slower here and Vashon has a laid back, artistic, bohemian vibe. 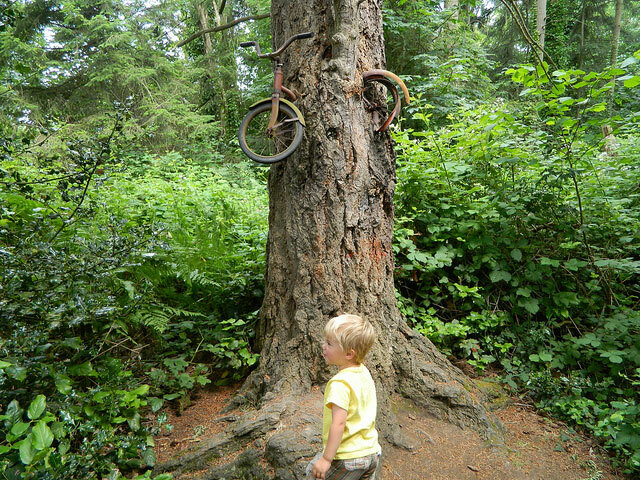 Apart from the annual strawberry festival, the island is also famous for the “bike in the tree”, an old kids bicycle that is embedded, 8 ft up in the trunk of a fir tree. The local story tells that the bike was abandoned next to the young tree in the 1950’s and over the years the tree grew up and around it, eventually lifting it into the air and subsuming it into it’s own trunk where it remains trapped today! The famous bike in a tree! The bike has become an important part of Vashon Island history and is a popular spot with tourists. But Vashon also has much to offer tourists with their own (more mobile) bicycles! In fact the island has some of the best cycling in the wider area and offers something for everyone, from serious road cycling up some pretty challenging hills to gnarly mountain biking on twisting forest trails. You can even indulge in some relaxing, comfort cycling along the pretty country back roads. And since it’s just a 15 min ferry ride from downtown Seattle, there really is no excuse not to make the short trip to a completely different world. There’s no getting around it, Vashon is hilly. And these hills provide some pretty demanding climbs, even for experienced road cyclists. As soon as you leave the ferry terminal in the north, there is a long, drawn out climb. And from the ferry terminal in the south there’s another, albeit much gentler one. But of course every hill you go up, you get to go down the other side! And on Vashon you get the benefit of the beautiful rural scenery. 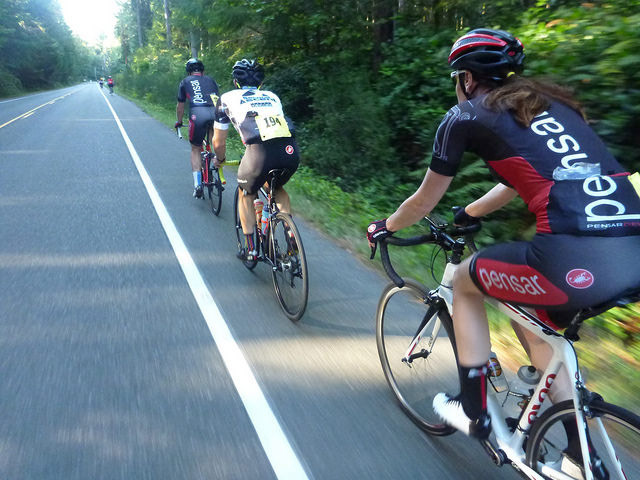 The main Vashon Highway that runs from the the north to south of the island has a wide shoulder ideal for bikes. But all the roads in Vashon are pretty quiet and if you get off the highway you may not have the shoulder but you may get the road all to yourself! The island is very popular with cyclists from Seattle. And once a year the cycling club, the Seattle International Randonneurs organize a popular 32 mile ride called the Vashon Island Loop around the perimeter of the island. The local rowing club also organize an event called the Passport to Pain which is annual cycling challenge around the island which offers 3 levels of vertical climb taking in most of the island’s hills! You can of course organize your own rides and the Sustainable Tourism on Vashon site offers some great maps with possible routes. Vashon Island offers the closest mountain biking to Seattle and there are some really great trails. In the center of the island there are a series of single track trails that are not too demanding and are great fun. Check out this video of a couple of guys making the most of the trails on the island. If you want something more challenging, then the Dockton trails over on Mauray Island (connected to Vashon Island by a small strip of land) are much more gnarly. 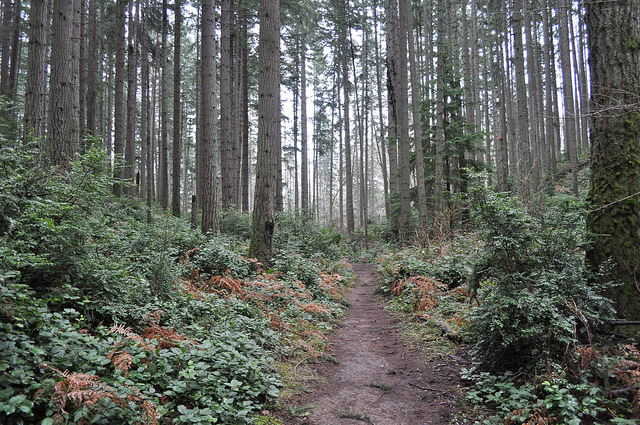 The Ride Your Bike website has some really useful information on the mountain bike trails on Vashon Island, including some home made maps! And again the Sustainable Tourism on Vashon site also has maps of the trails. There are no bridges so you can’t drive across to Vashon Island. You’ll need to take the ferry. But luckily they are frequent and the crossing is short and very scenic. If you’re coming from Seattle you can either get the Washington State Ferry from Fautleroy in West Seattle or the Kings County passenger ferry from downtown Seattle. The Fautleroy ferry runs 7 days a week at 30 minute intervals from very early in the morning until very late at night. While the downtown Seattle ferry which is for foot (and bicycle) passengers only, runs a much more limited services aimed at commuters. Both of these ferries take around 20 minutes and drop you at the islands northern ferry terminal. 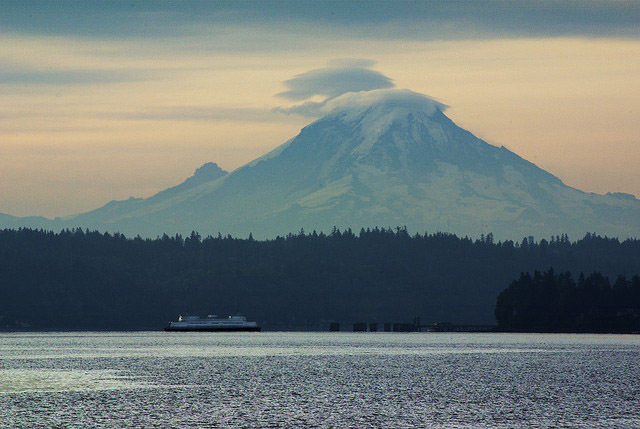 If you’re coming from Tacoma then you could take the Washington State ferry that goes from Pt. Defiance to the ferry terminal at the southern tip of the island. It runs a much more limited service, but if you’re on this side of the island then it might be more convenient. You can take your bicycle on all these ferries. And on the Fautleroy and Tacoma ferries you can also take your car. But the ferries also carry public buses, so if you want to come by bus that’s pretty straightforward as well. Buses 118 and 119 from downtown Seattle go down to Fautleroy and then across on the ferry and round the island before coming back. And from Tacoma you can catch buses 10 and 11 which take the ferry from the Pt. Defiance terminal. If you’re not taking a bike with you it can be useful to catch the bus so you can get away from the ferry terminal easily once you arrive in the island. But if you are on your bike don’t forget that all the buses have bike racks so that’s no problem either! 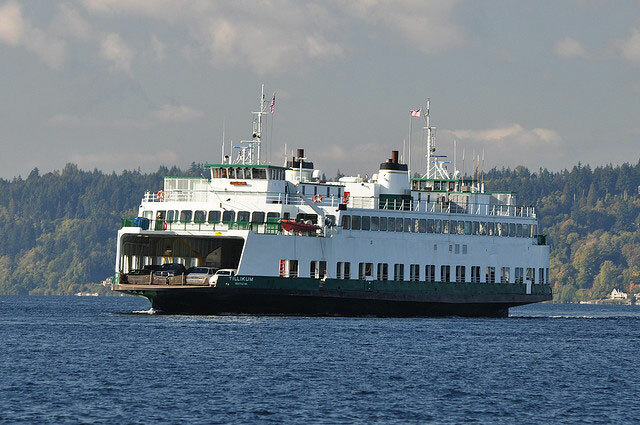 For more specific details on how to get to Vashon island check out the useful links page, which has links to the public transport sites and more detailed timetable information. There are plenty of shops on Vashon who would love your custom! Check the opening hours though and bring your own food and drinks as required. If you’re not planning on bringing your own bike, be aware there is now only one bike hire shop on Vashon, Spider’s SKI & SPORTS and while they have both road and comfort bike to rent, they don’t currently stock mountain bikes or kids bikes. The shop is also in right in the center of the island so make sure you’ve planned how you’re going to get there! If you are bringing your own bike, don’t forget a bike helmet and a good bike lock. While it may be much quieter and laid back on Vashon, the hills are steep, some of the trails get gnarly and they do still have bike thieves! The bike in the tree, obviously. The Point Robinson Lighthouse is worth a visit. And don’t forget the famous Vashon Island Coffee Roasterie for a spot of refueling. I have added a few things to the map page. And I will add more as I think of them! 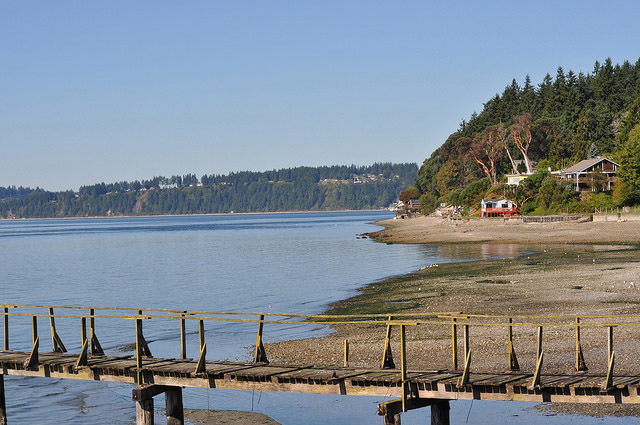 But of course the main thing to see on Vashon is all around you from the moment you arrive till the moment you leave: the incredible natural beauty. Enjoy! Copyright © 2019 Vashon Island Bicycles. Powered by WordPress. Theme: Accelerate by ThemeGrill.